The future-oriented 3-axis milling machine DATRON neo and the revolutionary control software DATRON next make milling easy for beginners and professionals. The future of manufacturing technology and thus the future of work are among the key aspects of DATRON’s product development. 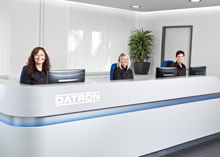 Functional design but in particular measurable customer benefits were a priority in the conception of the new DATRON control software DATRON next. This resulted in DATRON AG recently being awarded the Red Dot Award: Communication Design, thus receiving a prize in the Category User Interface Design for the first time. 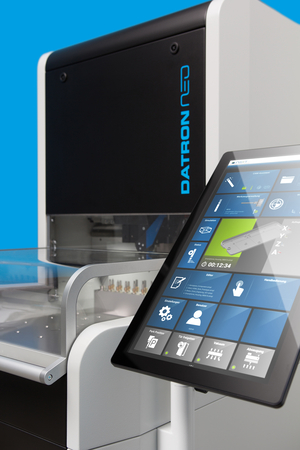 In a highly complex technology world, DATRON next, the control software of the brand new and revolutionary 3-axis milling machine DATRON neo, stands out particularly through its easy to understand operating concept. DATRON next convinced the international Red Dot jury members owing to its ultimate user-friendliness and high design quality for which the DATRON in-house design department is responsible. In the age of the fourth industrial revolution, DATRON AG sets new standards in the field of tool machines with DATRON neo and DATRON next. Based on the Plug & Play principle, even less experienced operators and HSC beginners can control the 3-axis milling machine DATRON neo right away using the easily understandable DATRON next software. The user interface is intuitive for the user due to its control style via swipe gestures similar to a smartphone and the software interface in tile design. Using wizards and an integrated camera, the machine operator is led through the milling programme in just a few steps and aided by self-explanatory icons and realistic tools and components shown in 3D for fast identification of various machine functions. DATRON AG could already rejoice in July over its fourth Red Dot Industrial Design Award, received this year for its revolutionary 3-axis milling machine. The Communication Design Award for DATRON next is thus the fifth Red Dot award received by DATRON AG due to the work of the in-house design team led by Frank Wesp (40).